Woohoo! 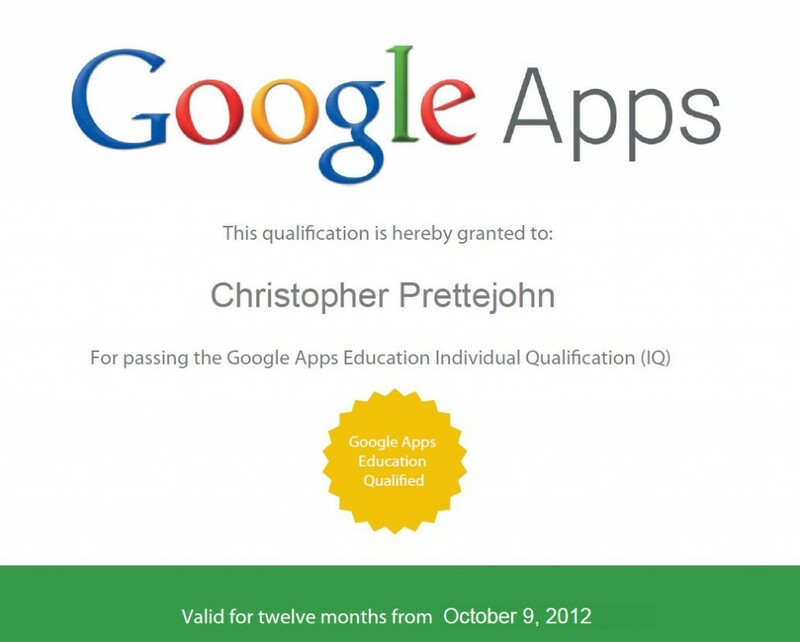 After starting the sequence of exams in July 2912 I have now completed all 6 exams which means I’m Google Apps Education Certified. Each one took 90 minutes which means a total examination time of 9 hours of my life not to mention the study time beforehand! 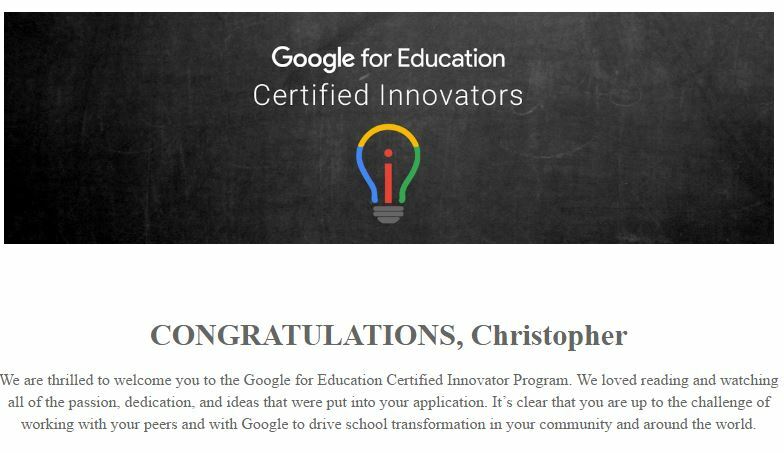 Although it essentially involved a lot of Alt-Tab and scrolling through the Help Files it was very rewarding and enlightening to see what the educational potential of Google Apps is. 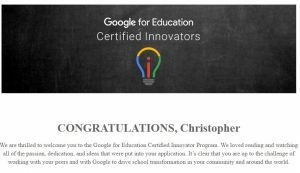 As I’m off to the first UK Chromebooks in Education Summit at Google HQ in London I thought I’d update my experience of Chromebooks in the classroom following up my previous post on them here. 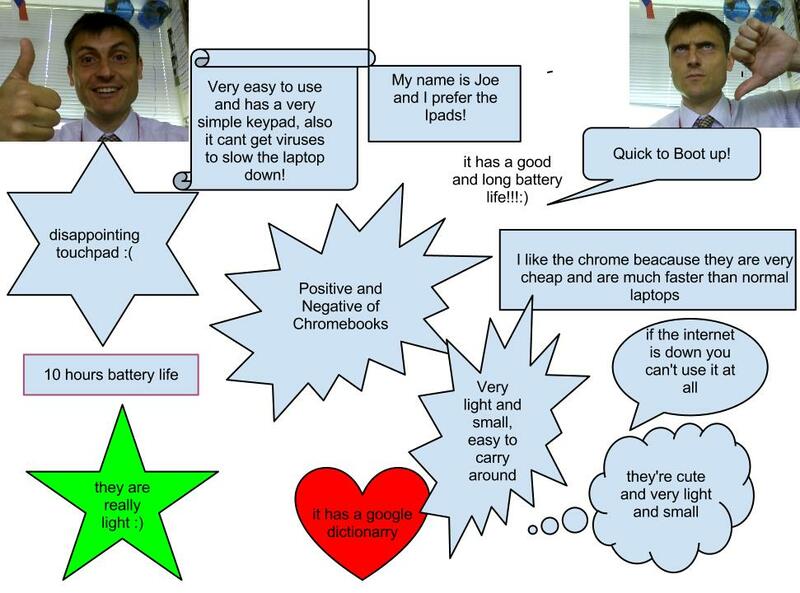 Ian Nairn from C-Learning kindly lent us half a set of Chromebooks for a week. The response form the students was mostly very positive and from a administration point of view it was also a reatively seamless experinece. The hardware turned out to be very robust and at no stage did they need to be sent to the IT technical team. The only time we had what appeared to be a dead screen which was quickly recitivifed by a hard reset involving a small hole and a paper clip on the base of the Chromebook. The students really liked the instant on nature of the Chromebooks as well as how light it was which made it pefrect for carrying around from classroom to classroom I would however still advise a padded case for this as school bags are notoriously badly treated around the playground! Can’t get viruses to slow the laptop down! We had one SEN student who much preferred the tactile nature of the iPad which he has been using for the past year.